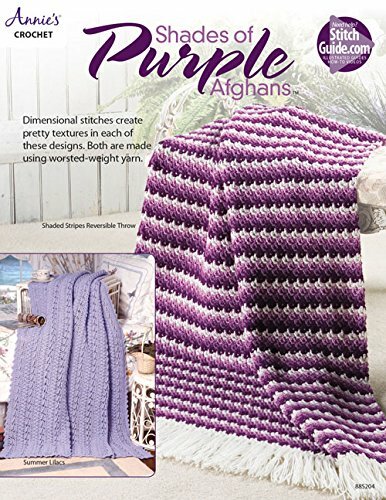 If purple is your passion, you’ll love these beautiful afghans! 2 designs use various shades of purple worsted-weight yarn. Summer Lilacs uses dimensional stitches to create a beautiful texture and measures 57"W x 79"L. Shaded Stripes Reversible Throw pattern creates a blended striping effect and measures 47"W x 64"L.